What is your Product Vision? It is tempting to define product vision and product management from technology perspective. After all we take it that is the differentiation we have over others. It is something we control through innovation. So we tend to focus on speeds and feeds or how clever a particular algorithm we use is. A marginally better but still ineffective approach is to include user experience. The product is all about delivering seamless, frictionless, ridiculously simple etc. user experience over any other alternative in the market. In the end we still remain product centric with some user aspects thrown in. If you reflect upon it, both the technology focused approach and user experience driven approach have not fundamentally changed what the product is. Your version is simply a better version of another product and not a completely different way of solving the customer job to be done It may be difficult for you to see why this is the case with products that place user experience front and center like iPhone. After all isn’t touch screen the most user centric and differentiated of all features? Let us look at cars as the product. Until a few weeks back Tesla was sucking all the oxygen in the room – in marketing mind share and investor wallet share. With just $4 billion annual revenue and no profits, Tesla was beating the biggest car maker Toyota that has $99 billion and $19 billion profits. In terms of market capitalization Tesla is $19 billion(after the fall) to Toyota’s $161 billion. Tesla’s product is indeed far more innovative and delivers ridiculously simple experience over the cars we have been driving. Tesla’s user experience makes us think rest of us are driving early twentieth horseless carriages. 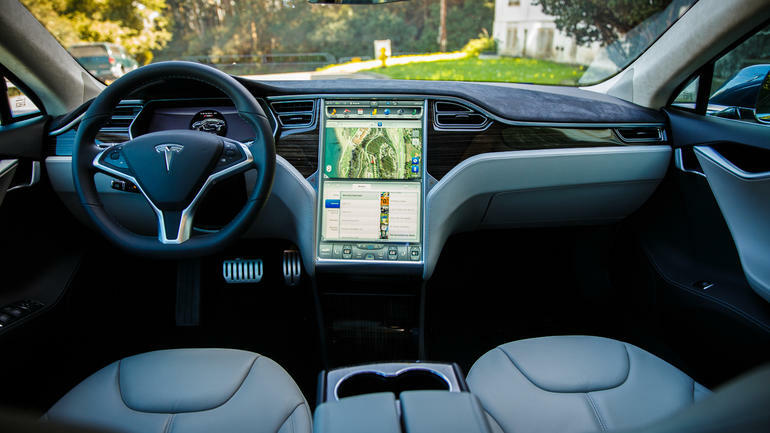 The big screen control, the telemetry data collection, the software driven approach, continuous software upgrade and addition of auto-pilot, all these make the car the iPhone among flip phones. Isn’t zero-emission and self-driving car a product vision? If yes, better than that of all car manufacturers? Well to answer that let us look at how Toyota is approaching this market. For a long while Toyota’s President Akio Toyoda had defined the product vision as, “fun to drive”. It is not that difficult for you to see this as the product centric view with some user experience aspects thrown in. And by extension you can see Tesla’s product vision is no different. In the end we still have cars that we drive or drive themselves. Not until recently did Toyota had a reset of this product vision. It is the equivalent of, “faster horse or faster car”, moment. In deciding the next product to build – electric, self-driving etc, Toyota redefined its product vision to be customer centric with no mention of the product. A simple statement that describes product vision without talking one bit about technology, software or any of the features. It is about the customers (everyone) and the job they are trying to get done (move around freely). How it is done is immaterial -today we use gasoline powered cars or Tesla but the job we are trying to get done is invariant. A product vision that is not product centric suddenly opens up the possibilities to multiple ways to reach the customers. You are better prepared to be the company for next 1000 years even when technology changes or new competitors with software expertise like Google or Apple enter your market. The customer centric vision opens you up to many possibilities that break your organizational fences. While people say your past success does not matter in new market in this case the past success in execution is a big predictor of how you will win in this operationally intensive product. A car company that is about enabling everyone move freely is not anymore a car company. As an aside you may immediately see how BMW defines itself as building, “The Ultimate Driving Machine”, and see its product centric view. Product vision is surprisingly not about the product at all, it is about the customers you choose to serve and the specific problems you want to solve for them.